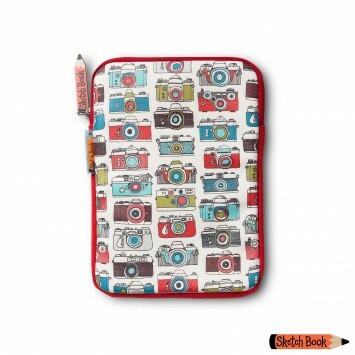 By Sketchbook - A mid-size purse with colourful camera print. Fold out section for four cards, two note sections and a clear window for ID cards. High quality PU material. Fully lined.